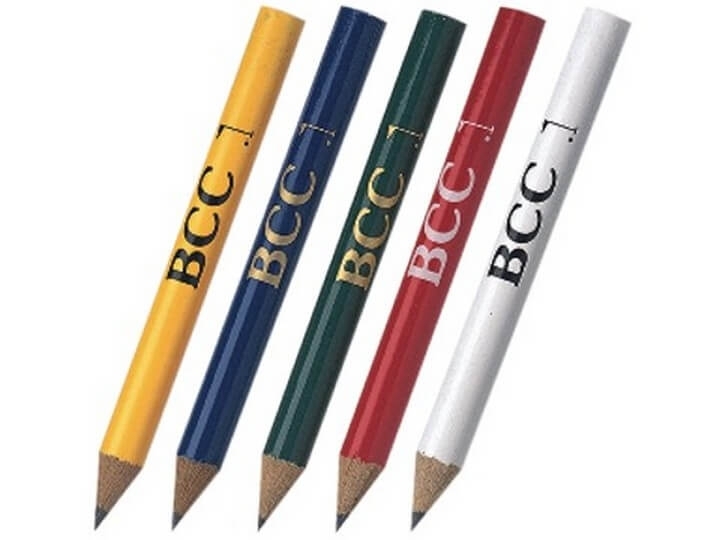 •100% Wood Casing •High-Quality #2/HB Writing Core •Certified Non-Toxic Golf pencils come pre-sharpened Available in 8 Colors: Red, Yellow, Black, White, Royal, Navy, Dk Green, Natural Packed 144/Box; 2,880/Case @ 19 lbs. 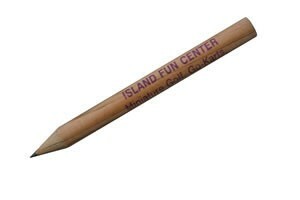 A country club favorite. 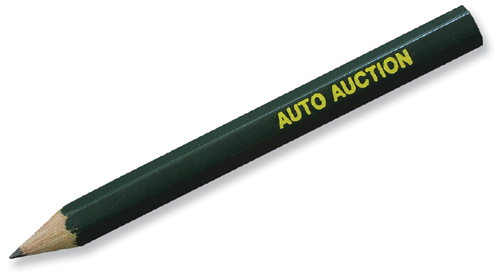 Round quality # 2 golf pencil. Packaged in an attractive 2 gross display box. 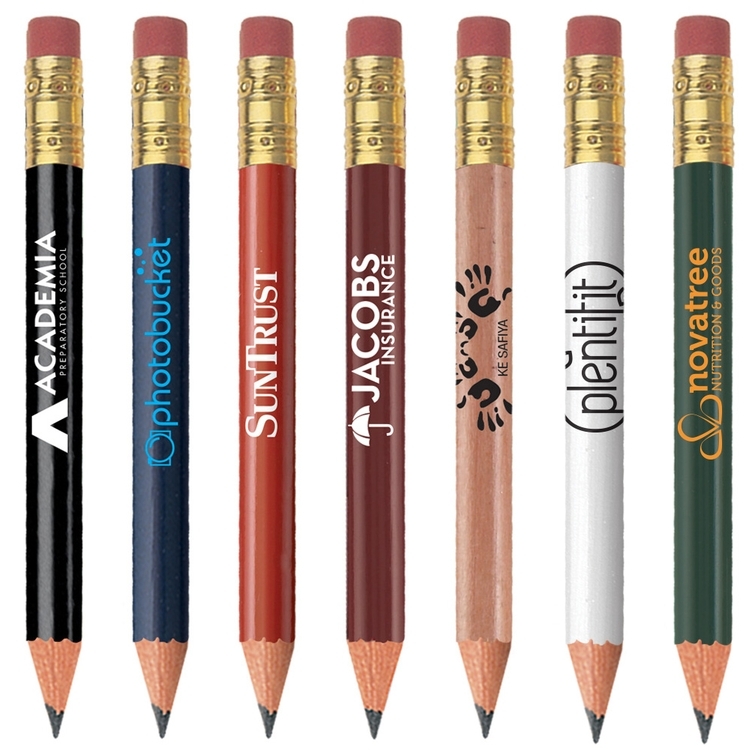 Pencils come sharpened. 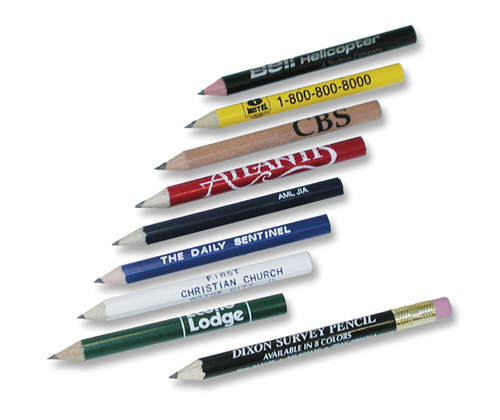 Generous imprint area. 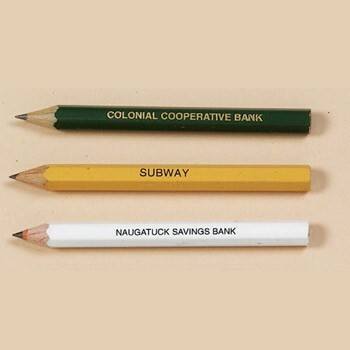 Straight line of Helvetica type. 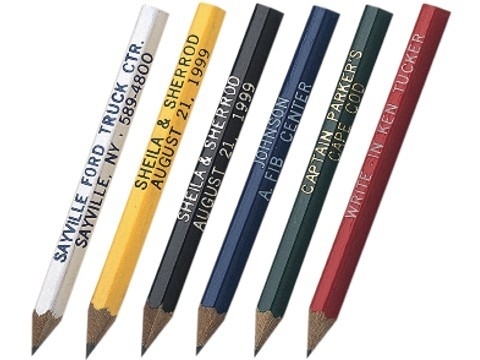 Available foil imprint colors silver, black, white, and gold. 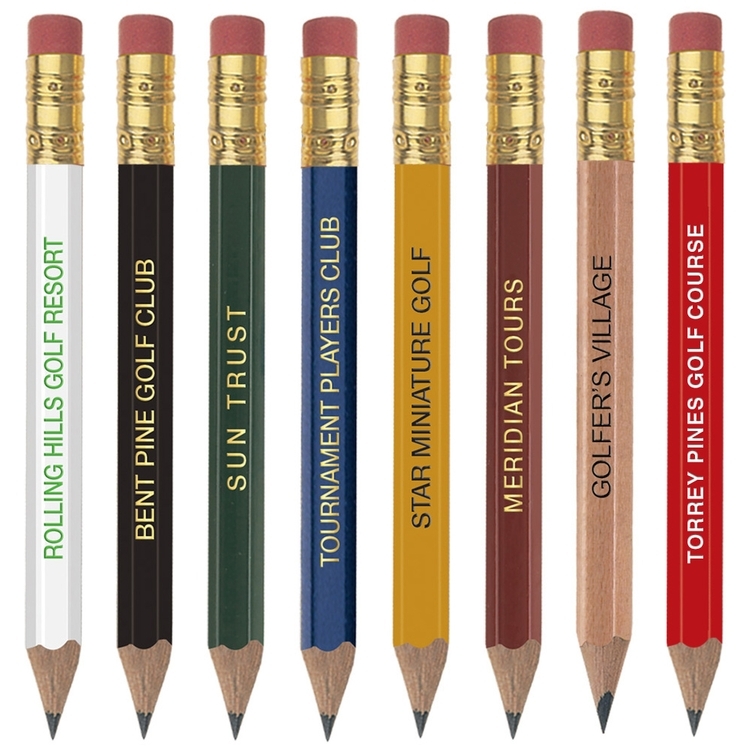 •100% Wood Casing •High-Quality #2/HB Writing Core •Certified Non-Toxic Golf pencils come pre-sharpened Available in 8 Colors: Red, Yellow, Black, White, Royal, Navy, Dk Green, Natural Brass Ferrule, Pink Eraser Packed 144/Box; 2,880/Case @ 19 lbs. 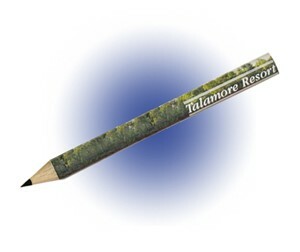 The Wood Hexagon Golf Pencil is the ideal Golf Pencil for the golf course. 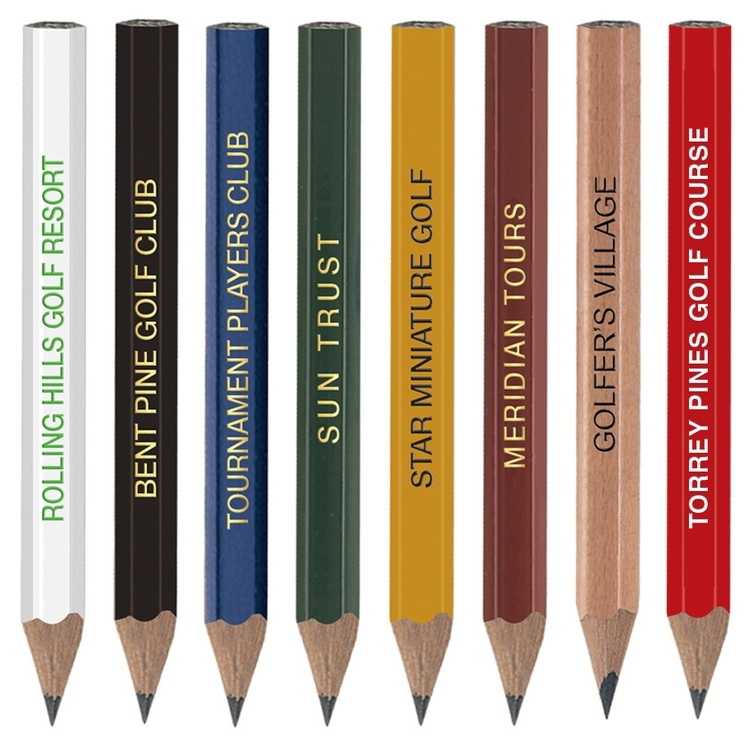 It is our most popular golf pencil and is a great giveaway at Corporate Events, Golf Tournaments, Charities etc.. 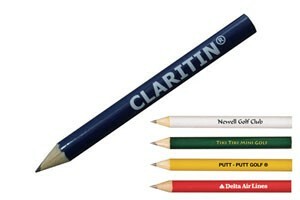 The Hexagon Golf Pencil has plenty of room for your 3 line straight line copy. 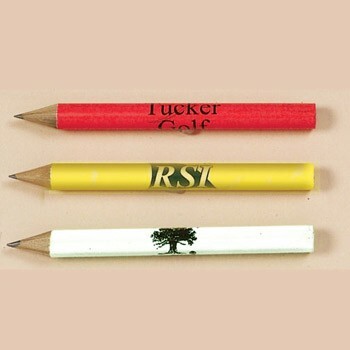 The Scorekeeper Pencil is an ideal Golf Pencil for the golf course. 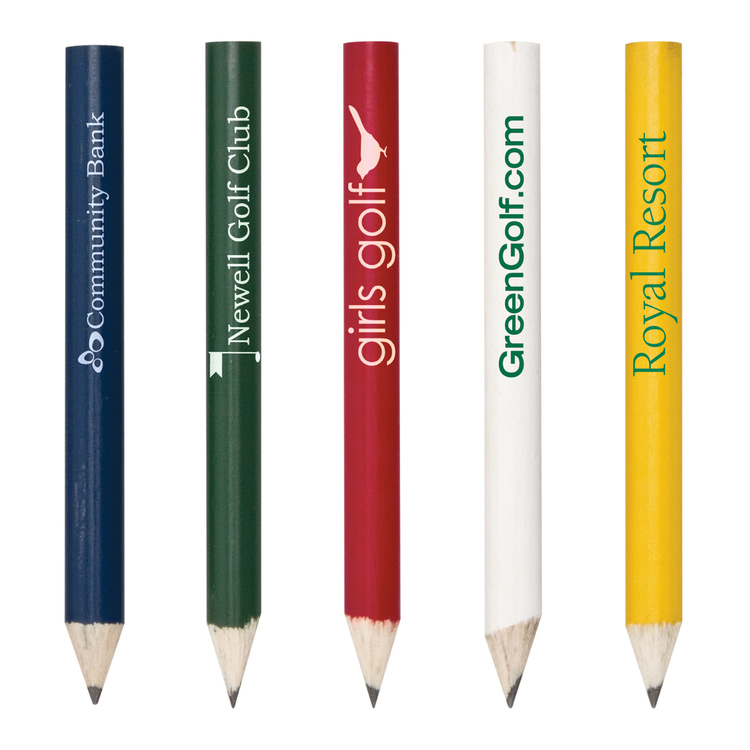 The Scorekeeper Golf Pencil is a great promotional item for giveaways at Corporate Events, Golf Tournaments and Charities. 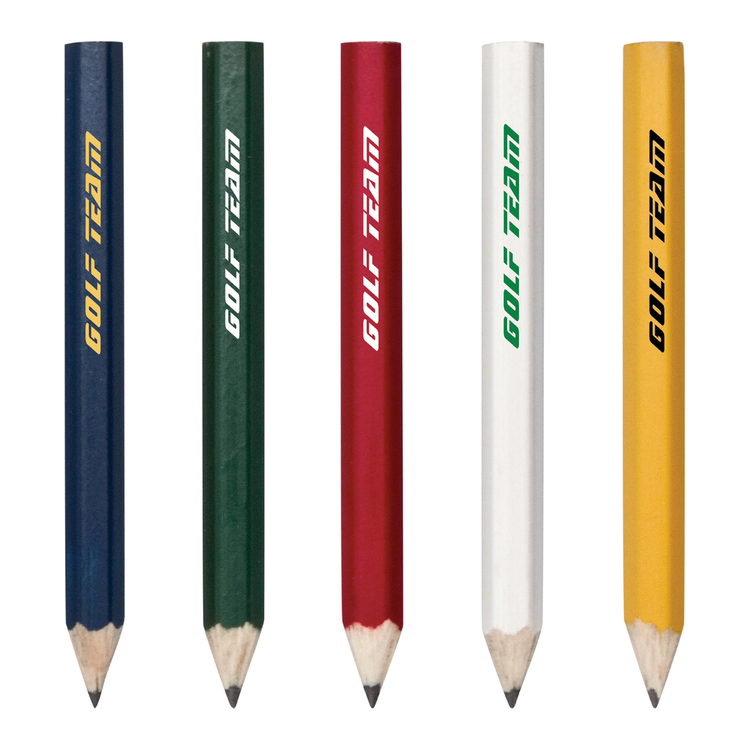 The Golf Pencil Clips to the scorecard making for easy use and a great way to promote your business with room for straight line copy or logo message. 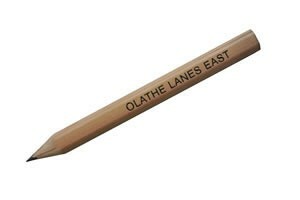 A country club favorite. 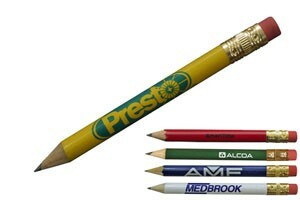 Quality #2 hexagon pencil. 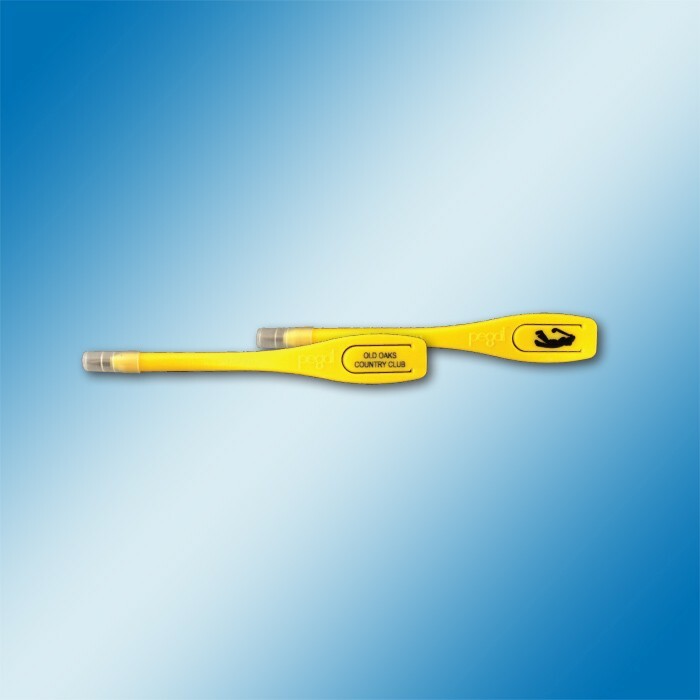 Comes packaged in an attractive 2 gross display box. 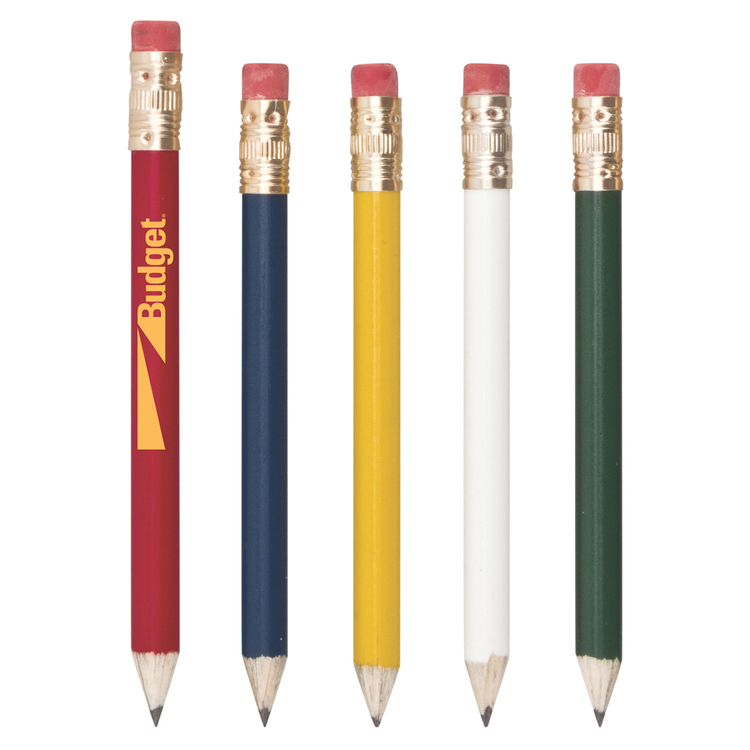 Pencils come sharpened. 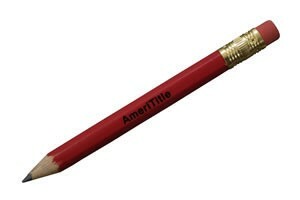 Straight line of Helvetica type. 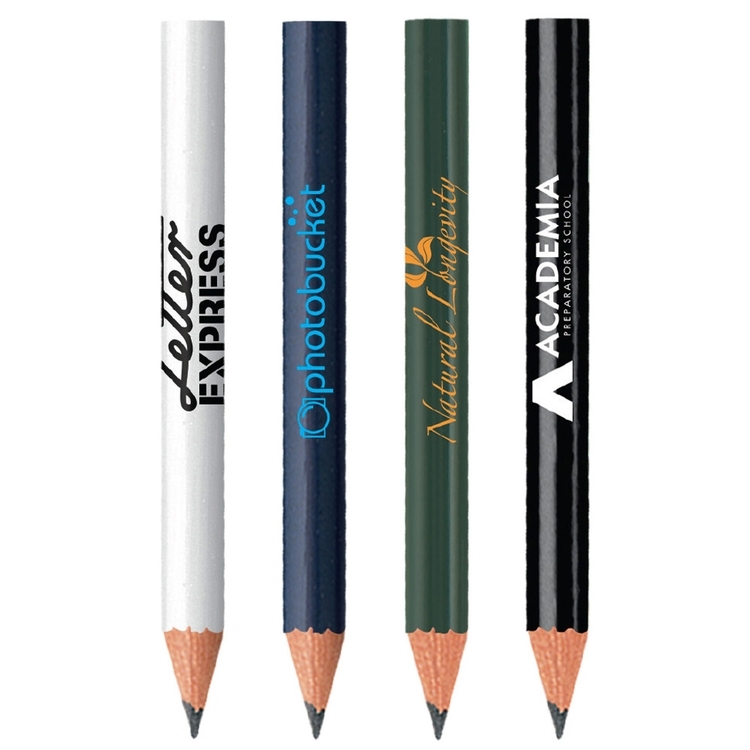 Available foil imprint colors silver, black, white, and gold. 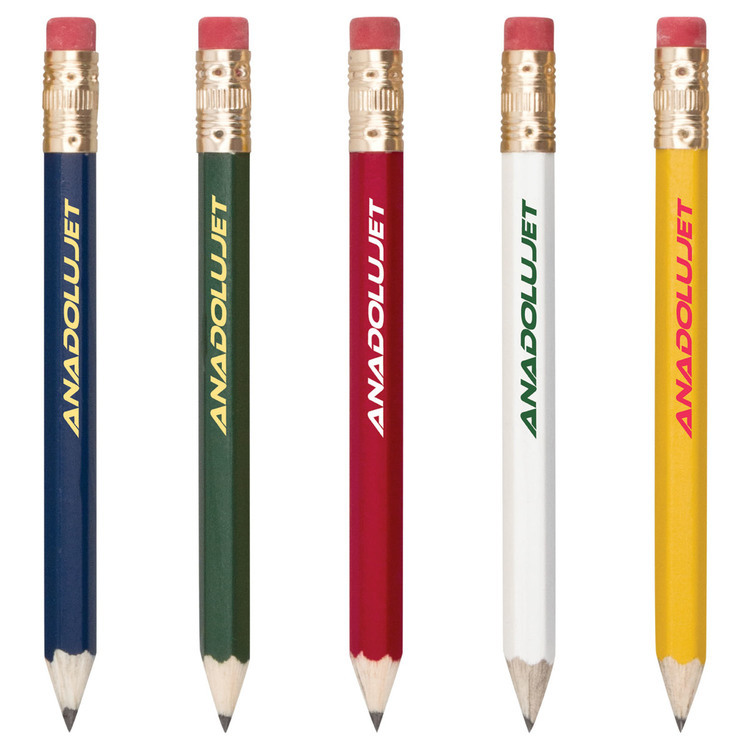 Round golf pencil with a smooth finish.